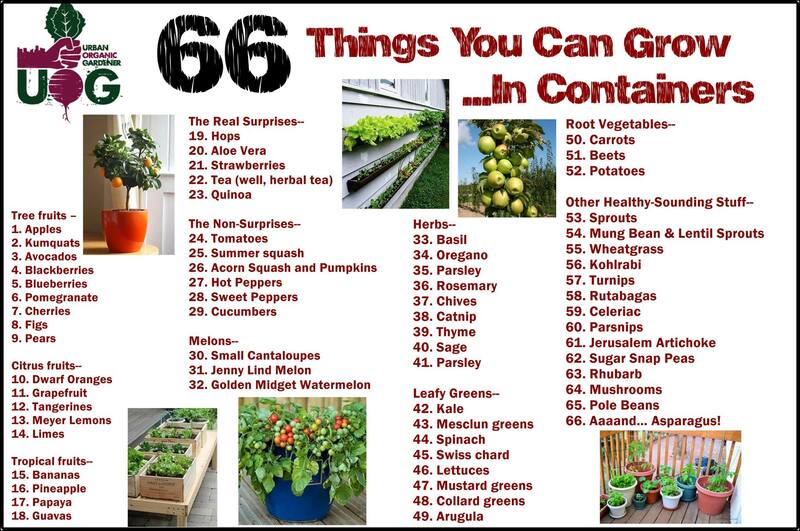 66 Things You Can Grow In Containers! No Excuses – Just GROW FOOD! Heather Chapin from our Facebook page writes, “I have a tiny apartment and I’ve managed to grow 30 tomato plants, 3 flats of lettuce, peppers, green beans, sugar snap peas, avacado, basil, rosemary, potatoes and many more plants in just my kitchen and living room using the light that comes from three windows. Didn’t even have a grow light until just recently and I’ve had fresh veggies all winter long!” Check out the entire discussion here!